-Devotes $10 billion to pay private doctors to treat qualifying veterans who can’t get prompt appointments at the VA’s nearly 1,000 hospitals and outpatient clinics, or those who live far from them. Only veterans who enrolled in VA care as of Aug. 1 or live at least 40 miles away are eligible for outside care. -Devotes $5 billion to hire more doctors, nurses and other medical and mental health professionals. -Authorizes $1.3 billion to open 27 new VA outpatient clinics and other medical facilities in 18 states and Puerto Rico. -Grants the VA secretary authority to fire immediately poor-performing senior executives. They would have seven days to appeal, with a final resolution 21 days later. -Expands a scholarship program for children of veterans killed in the line of duty to include surviving spouses. -Allows all returning veterans and eligible dependents to qualify for in-state tuition at public colleges and universities under the Post-9/11 GI Bill. 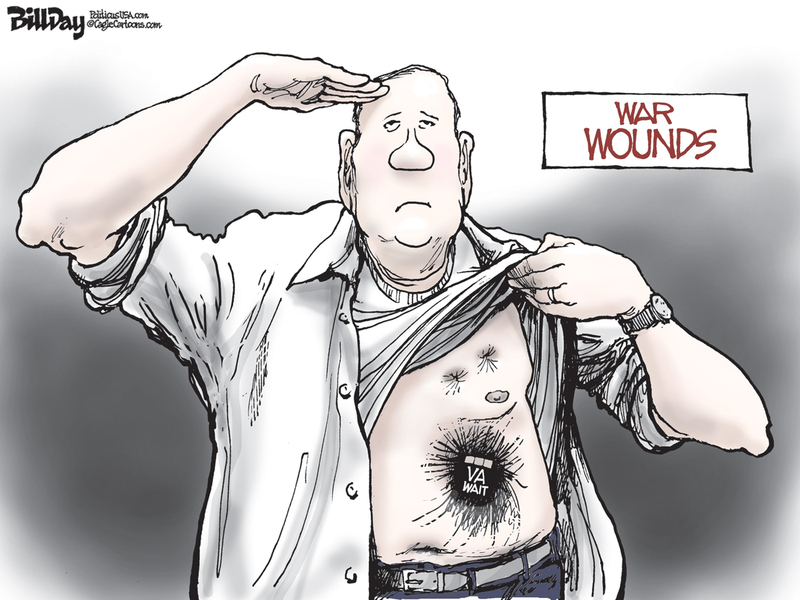 -Cuts funding for annual bonuses for VA employees to $360 million, $40 million less than last year. Even though the events of 9/11 happened over a decade ago, the scars still remain for the families who lost loves ones and continues to threaten the lives of those who risked theirs to save others. An AOL article reports, Scary statistic about Ground Zero workers, more than 2,500 rescuers and responders have been diagnosed with cancer which is a significant increase from last year’s 1,140 cases, according to Mount Sinai Hospital’s World Trade Center Heath Program. In addition, scientist say workers also have increased rates of post traumatic stress disorder, asthma and other respiratory diseases compared to the rest of the population. The cancer is believed to be the result of exposure to toxic debris from the collapse of the Twin Towers that sent a smoke plume into the air causing air pollution experts to say the dust that floated around for months after the attack was toxic and carried more than 2,500 contaminants. The Victim Compensation Fund expects to receive more claims by the Oct. 14 deadline, meanwhile as of June 30, 1,150 are on the list and 800 eligible for compensation. In Florida, the Miami-Dade county’s decision to demolish an active duty soldier’s home while he was training for deployment did not sit well with the district judge, AOL reports, Judge blasts Fla. county for demolishing soldier’s home. According to Fox News, “Jesus Jimenez was warned about code violations including exposed wires and a broken roof … he requested an extension to get those things fixed … the city claimed that active duty was not an excuse.” The Daily Mail reported that in 2011 the city knocked down Jimenez’s home where he, his five month pregnant wife, diabetic daughter, hearing-impaired brother and mother-in-law all lived leaving them homeless. Military.com explains that Jimenez requested a stay to postpone the demolition four years earlier citing the Servicemembers Civil Relief Act, a federal law “intended to postpone or suspend certain civil obligations to enable service members to devote full attention to duty and relieve stress on the family members.” However, Miami-Dade county said the act did not apply to him because he was a reservist at the time of the request and the original request was for 90 days only. During the four years, he was training, deployed or sometimes home. Unfortunately, now that the case has reached U.S. District Judge Robert N, Scola Jr., the county’s excuse for the demolition doesn’t fly, the Ledger reports. The Miami Herald reports that in Scola’s order he wrote the county had missed the point saying: “Plaintiffs’ behavior was by no means perfect … but by enforcing the [Servicemembers Act], this Court has vindicated a national policy of high priority.” If a settlement is not reached, a trial is set for September to decide what Miami-Dade country owes Jimenez. While Congress’ bipartisan spirit for now seems to be alive and well, House Democrats are profiting in a big way due to House Speaker John Boehner’s announcement of a lawsuit. According to their campaign chief on Tuesday, House Democrats have raised $1 million on Monday alone due to the chatter about impeaching President Barack Obama and the announcement of a lawsuit against Obama that opened the door to the fundraising drive, Philip Elliott reports, Democrats have million-dollar day on impeachment. Democratic Congressional Campaign Committee chairman Steve Israel told reports that ,since Boehner announced in June his plan to sue the president, Democrats’ House campaign arm raised $7.6 million. At a breakfast organized by Christian Science Monitor, Israel said: “I understand the strategy is intended to gin up its base. Every time they talk about suing the president, that just ignites our base.” However, Boehner called the talk a “scam” and his party has “no plans” to open impeachment proceedings concluding that Democrats are the ones fueling the talk. Since January 2013, House Democrats have raised almost $125 million this election cycle. The average donation, according to Israel, was just $19. On Sunday, Democrats in an email solicitation said: “The fate of Obama’s presidency is at stake.” On the other hand, Boehner says: “This whole talk about impeachment is coming from the president’s own staff and coming from Democrats on Capitol Hill. Why? Because they’re trying to rally their people to give money and to show up in this year’s elections. It’s all a scam started by Democrats at the White House.” Republicans will likely keep their House majority after November’s elections due to redrawn congressional district that favor the GOP and the fact both parties are contesting only a few seats. Even so, the parties’ House campaign committees have already raised $226 million as of July 1. Republicans hold 234 seats in the House and Democrats have 199 seats with two vacancies available.